When I was living in Japan, even though I’m Japanese, I always felt like an outsider. When I was a teenager, I was trying to figure out which parts of the culture I felt more a part of. I always feel like an in-betweener. Miho had performed at Elsewhere, a live music venue, artspace and nightclub in Brooklyn, just a few days before. The sparse and multitudinous sounds of New Optimism, her latest release at the time, had been adapted to the smaller and intimate space of one of the rooms, incorporating a live bass and keyboard, which made the performance immersive. Standing not ten feet away from her, I had been transfixed by Miho’s unhinged stage movements and dynamic voice going from sharp and abrasive to soft and hypnotic. 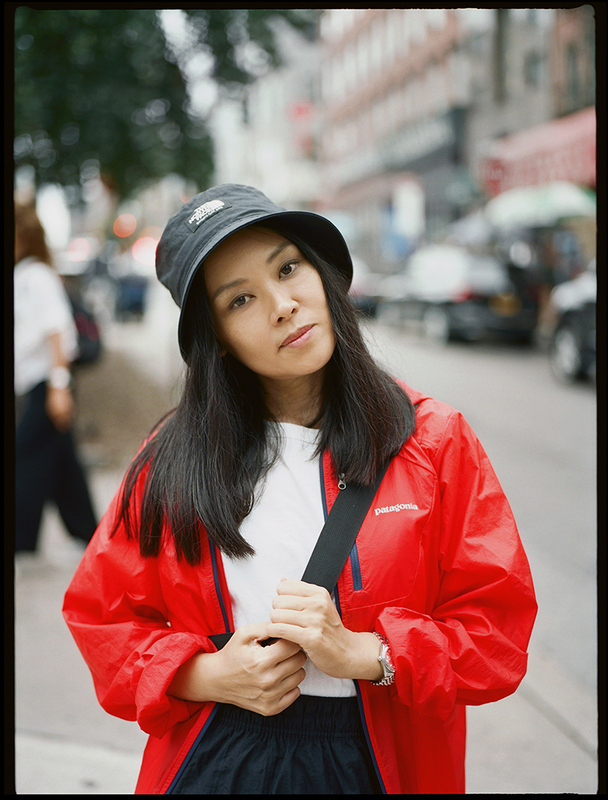 Miho met us at a cozy Malaysian diner, popping through the entrance from the drizzly outdoors in a red windbreaker, bucket hat and hot coral-accented Nikes. 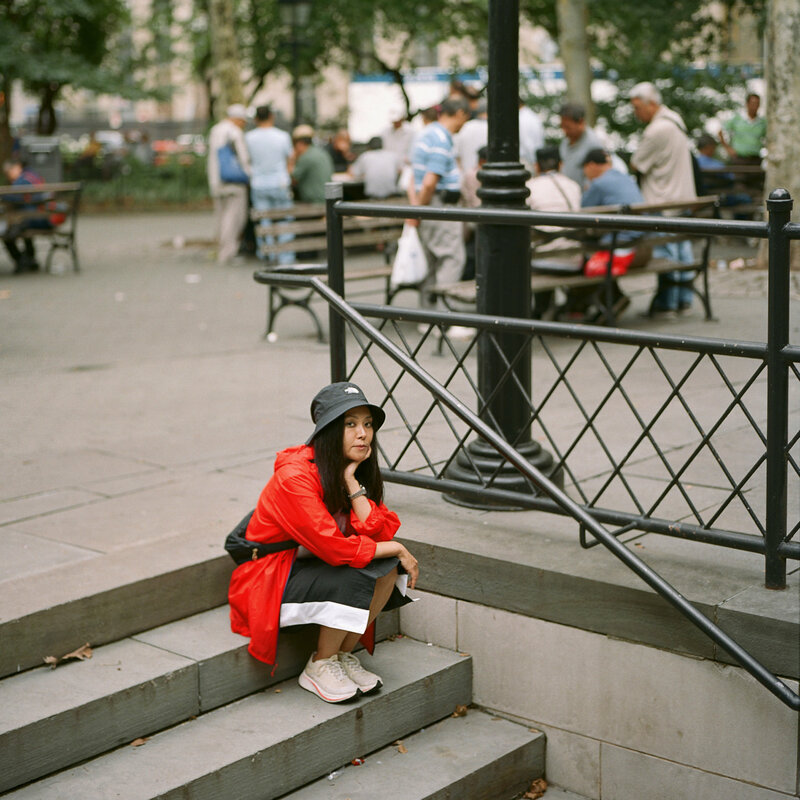 As we talked, Miho enthusiastically shared her first experiences making music in New York, her deeply reflective thoughts on identity, and what she sees for the future. Sitting next to her, I noticed the vibrancy in her character– she lacked the desire to impress anyone but was overtly warm, kind and patient. Knowing her rich timeline of a career – from her band Cibo Matto to her work with notable figures like Beck, the Beastie Boys and Gorillaz to her latest project New Optimism, and thinking about the range of genres and the extent of her experimentation and conceptual work, it felt like respect was demanded before she even stepped into the room. So Amazon to LeFrak came out recently, we were all really psyched to hear it. What was really interesting to me is how it’s essentially formless and genre-less. Is that something that you set out to do or is it what comes naturally? I think I always do it that way naturally. It’s not something I have think about, that’s just my style — just the way I work. You came to New York in the 90s, did you work on any music when you were in Japan? Well what made you want to come to NYC, was it to explore new styles and new cultures? I always had a passion for music, but growing up as a teenager in Japan, I was listening to so many different types of music. I was a music kid. What were some of your early influences? Hmm… there are so many. In the 80s when I saw Madonna, that was huge. Early things too, like “Vogue” was mind blowing to me. The culture she brought up, like so many other pop artists from the 80s, did super cool things, and introduced an underground culture. Of course I was influenced by hip-hop as well. I didn’t know I wanted to be a musician at the time, but I was doing oil painting before and thought of going into the world of art. That’s the reason why I came here – New York City was the center of contemporary art. But after I came here, I was still watching music shows every day in downtown New York, because there was so much stuff going on every day. One thing I thought I could start doing was making flyers for shows. I was studying design in Japan, so I figured that’s something I could do. I realized I needed a band in order to create the flyers for, but I didn’t know that many people — I came here alone. So I made a band in order to make flyers. That was actually the starting point. 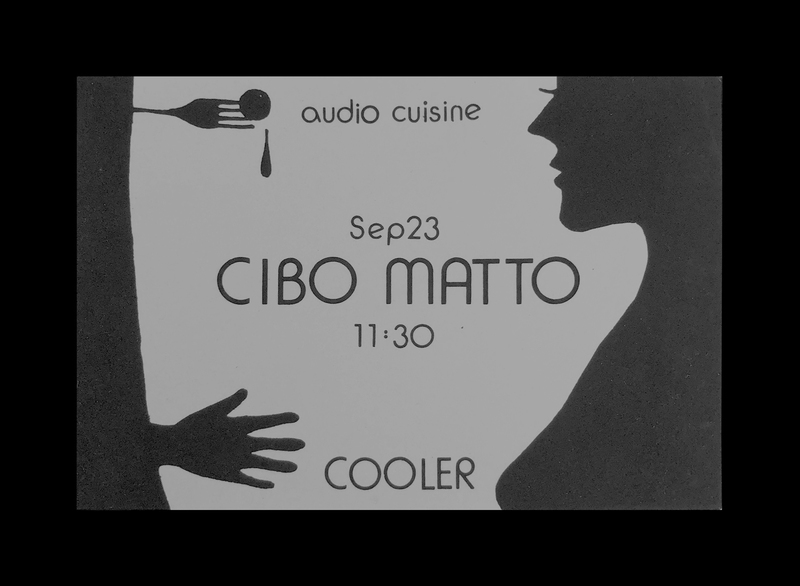 First I made flyers for my punk band, and then Cibo Matto too afterward, and I always made really funny flyers for Cibo Matto. "I was unable to talk about many things, but I knew so many bands and artists, so I could start a conversation with “I like this band”, “I like this album” or “I like this song” and people were like okay you’re a music nerd and that’s how we became friends. So that was the kind of energy in the streets back in the 90s." (laughing) Wow that’s an incredible starting point, We studied design so would love to see some of those from back in the day. Do you still work on all of your own artwork? Oh absolutely, I have a passion for it, so I still do all the designs myself. I work on all products, New Optimism merchandise, album art and even clothing as well. You actually wrote a lot of music when you came here and you got into music so quickly. It seems like things just happened and worked out. I was definitely very lucky, and times back then were really different as well. Cibo Matto became really popular, really quick. It was very overwhelming because at the time I didn’t speak English that much either, so I had no idea what was going on. I was really amazed because your lyrics are really good. I really love “Gravity starts to fall in my mind” and some are really funny too, and I was wondering where did you get your lyrical inspiration from? I think a lot of it is what I was thinking about in Japan, too. So when I was in Japan as a teen, I was in an amazing community in Tokyo — a group of music kids a little older than me, but all pure music lovers. They introduced and showed me all different genres of music from rap to punk and even house music — everything. And that was the beauty of being in Tokyo, especially in the late 80s and 90s. I feel like it’s connected with the economy as well. Japan had an amazing economic boost in the 80s. We could have amazing sound systems in clubs in Tokyo. That experience changed my life. I was super young but I could go there with older friends, and they never checked ID at the time! I was wearing something like Lady Miss Keir from a Deee-Lite video. I wore crazy things so I wouldn’t look too young and that was the way you could get in. Yea thats the other thing about you is that you have fantastic style all the time, do you think that plays into your success? Did people notice you because of your style when you came to NY? I don’t know about fashion. I think my knowledge of music definitely helped. I was unable to talk about many things, but I knew so many bands and artists, so I could start a conversation with “I like this band”, “I like this album” or “I like this song” and people were like okay you’re a music nerd and that’s how we became friends. So that was the kind of energy in the streets back in the 90s. Was there a big difference then growing up going to all these venues and clubs in Japan and then coming to NY? Was the music scene very different at the time? Or did you fit right in? Definitely very different, because I could see shows every day. In Tokyo tickets were expensive and that was a big deal. But here, an amazing avant-garde jazz concert was $10 and I could see one every day, so it was a completely different game. Somehow I met really amazing people and we would always go and try to see bands and were always hanging out somewhere. 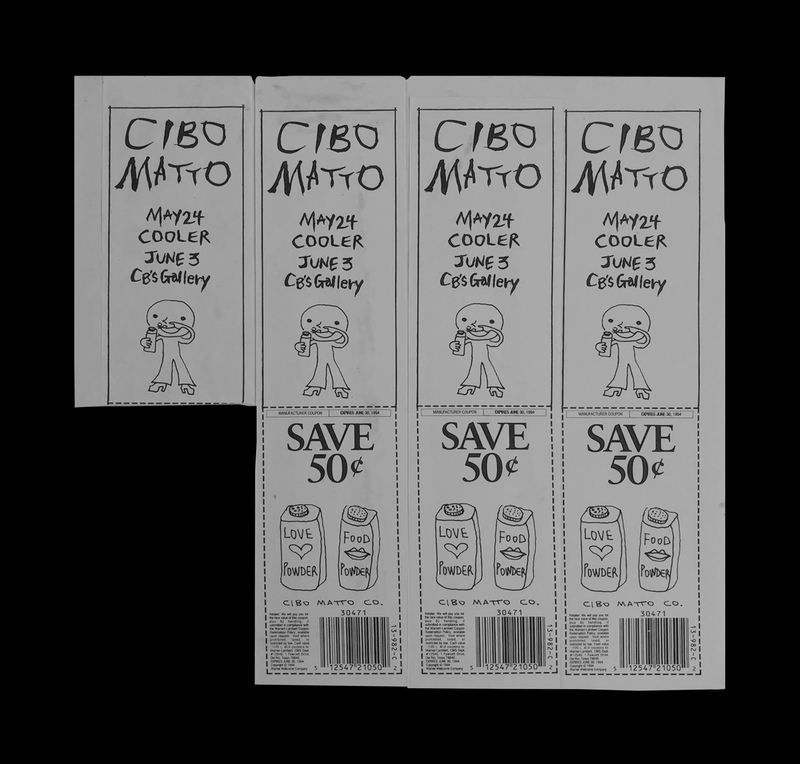 Some of Miho's old flyer designs for Cibo Matto. Was there any culture shock coming here, even outside the context of music? Was there anything unsettling when you arrived? Actually I felt like this was the place for me. The kids on the street were actually not too different from Tokyo kids. They all had an awesome vibe and were really open-minded. I always believed that if you have a certain energy you always attract people of a similar energy and it’s always worked out like that for me. Growing up, was your family culturally traditional or more hands-off in terms of letting you do whatever you wanted? I think they were pretty open-minded. They’re pretty chill I would say. They weren’t like “you need to be a doctor” or anything like that. That’s pretty interesting, because I felt that pressure, even as someone of a different generation. My mom is a first generation immigrant and in certain ways projected her aspirations onto me, and it was a struggle because I knew I wanted to do something in the arts. I was actually classically trained with violin and was considering doing that but even that was too much. Yeah, your experience seems pretty different from a lot of Asian families. Do you think maybe in Japan, parents were more open to children pursuing an art career? I’m just joking– I don’t think I would do that. I think my parents already knew my personality. I was a strange kid. They always saw that my passion was in music and art. They were very open-minded. Once I had a funny experience with my dad. I went to a private school. There weren’t uniforms but there were certain rules. I had to wear high white socks, a knee length skirt, and button-up shirts. You know, pretty much a conservative look. 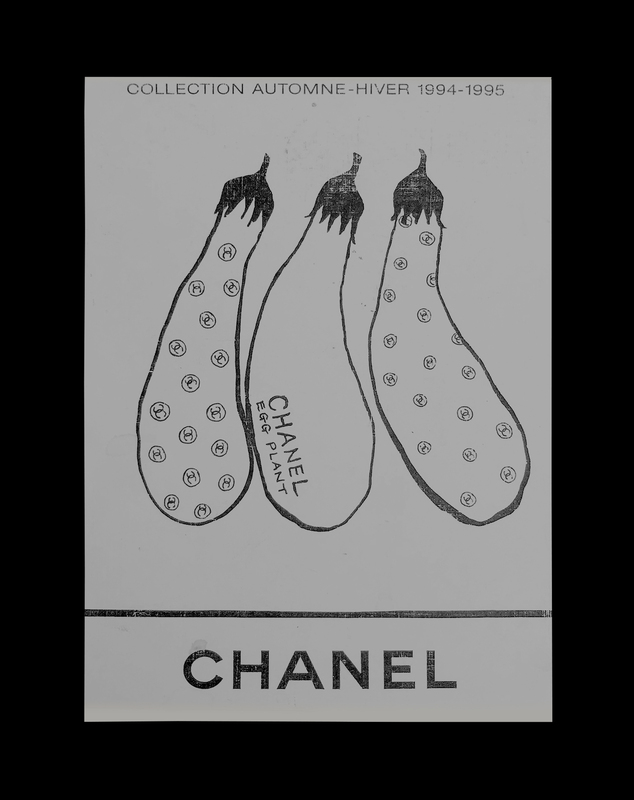 Everyone was fashionable, but wore more cute and elegant types of clothing. But I was wearing like (laughs), punk rock t-shirts, leather jackets and stuff. So you felt this strong urge to combat against those expectations and society? Oh yes, I started pretty early with that. I always had to find the balance, because I wasn’t THAT bad of a kid — I was always nice to elders (laughs) and you know, the Asian way where you are respectful. Some teachers definitely didn’t like my style. So one of my class teachers called my dad to have a meeting with me. Basically saying “the school thinks Miho’s style is not matching the school’s.” I felt bad because my dad had to come out to hear this, but my dad was like, “I know she has crazy style, but that’s her way to show her passion for the arts.” I was like “oh wowwwww, cool!” I was so happy. Society might give you some pressure, but if family members support you in that way, it’s really an amazing thing — actually accepting the way we are. "I think we need to strengthen our awareness and individuality to kind of, show up, and vocalize things with good manners – I think that’s very important." Yeah, and I think Japan is ahead of China for example in that way, because I grew up there — and it has a lot to do with the communist government — you know, everyone wears the same thing and has the same haircut. But I remember hearing in your Red Bull Radio interview that Japan’s culture is special in that way because of what happened in WWII and how they had to reinvent themselves. Yes, the way Japan is right now is connected to its history, and I think there’s a lot of deep things going on behind that — it’s more of a social psychology. I’m always interested by those differences even within Asia. If Japan can set some kind of example to other countries, it’s a great thing to promote a message like that. Riffing off that topic, we read that New Optimism was inspired by the book Little Boy by Takashi Murakami, and you talked a little bit about how that was an eye opener in terms of Japanese identity, and I was hoping you could expand on that a little bit. Yea so I always wondered like, when I go to a place like Akihabara in Tokyo — Akihabara is kind of a center of Otaku culture — and I have a lot of Otaku friends in Tokyo and they’re unbelievable. They have so much knowledge. It’s really mind blowing. They know everything about Japanese history, not just manga. I could ask them about the year and date an album was made and they would know. I really love that culture of Japan, people really go deeper. But they don’t show off, they don’t come up and say “Actually, I’m a specialist…” or something like that. If you dig into any one person, there’s so many things to discover. I always wondered about how we created these pieces of culture and knowledge, for example, violence in animations, or dark stories in manga. I always wondered why it became that way. It was very normal for me to be curious about how history affects different types of art or music. I always had an interesting relationship with that. When I was living in Japan, even though I’m Japanese, I always felt like an outsider. When I was a teenager, I was trying to figure out which parts of the culture I felt more a part of. I always feel like an in-betweener. To me, New Optimism is about this. I’m not one-sided and I think it’s ok to be honest about being in the center. There are so many people like that. That connects to Eduord Glissant’s theory as well; I always felt that made sense to me. I guess it’s about the different ways to look at identity. I’m an artist, so I express that through my work. I feel like music is one of the most effective ways, even if you don’t understand something, you can feel it. It’s important as an artist to be in that in-between space, because part of our responsibility is to communicate to two different sides of a spectrum. You feel like you’re in between this traditional Japanese identity from back home and where you are now. Your art can be a way to communicate the feelings you have about this that other people might share, pretty much creating a bridge between the two sides. Even though I grew up in Japan, my parents came from a very different world. So I’m always struggling with the question of “Where am I?” Certain people are faced with two identities – especially now, I think it’s a very important question. But New Optimism is not about leaning on identity, it’s more about a relationship with identity. That’s more about the future for me, and that’s what I’m passionate about. I feel like a lot of Asian people can learn from that. It’s about the relationship, right? When you talk identity as a relationship, it feels more versatile. It can change instead of being fixed. Things around you change and that affects your identity. Identity seems to be so fixed on history, but for example, I didn’t start World War II, you know??! It feels much better to have a relationship with it right now, not going back to the past. Otherwise, nothing will change, basically. Like, there are so many people in Japan that sometimes make me really sad. Some of them will say some crazy mean things to Koreans and even other Japanese people. This is happening in America, too. That’s a big thing happening now, given the political climate. Do you have any personal experience with racism? Any crazy stories? Crazy stories. Hmmm. Maybe because of my personality, I always try to lock these kinds of things away. I just don’t hang out with those kinds of people. There would be signs I’ll recognize from them. I feel like there were a lot of hard questions I faced, back in the 90s, when I was starting Cibo Matto. But a lot of interviews were just like “So, what’s your favorite food?” I’m like “Seriously? That’s it?” It was so shallow. Nobody went deeper. That was the reality. I strongly felt “that’s the only thing they’re interested in.” So that’s the reason we made the second (Cibo Matto) album, called Stereotype A, because it’s about fighting against stereotypes. But now a lot things have changed, like, 9-11 happening, and everything in the world… The times are very different now. What do you think needs to be changed about the perception of Asians, or any other race? So the project is pretty much your perspective of a perfect future. That’s my vision. It’s very important have a vision, and find and meet people with similar visions. To me that’s what it’s all about. It means making a community, right? Do you have a favorite Asian? Oh yeah! I have so much respect for them. Do you recommend any Asian spots for food or otherwise? I think Chinatown, in general. 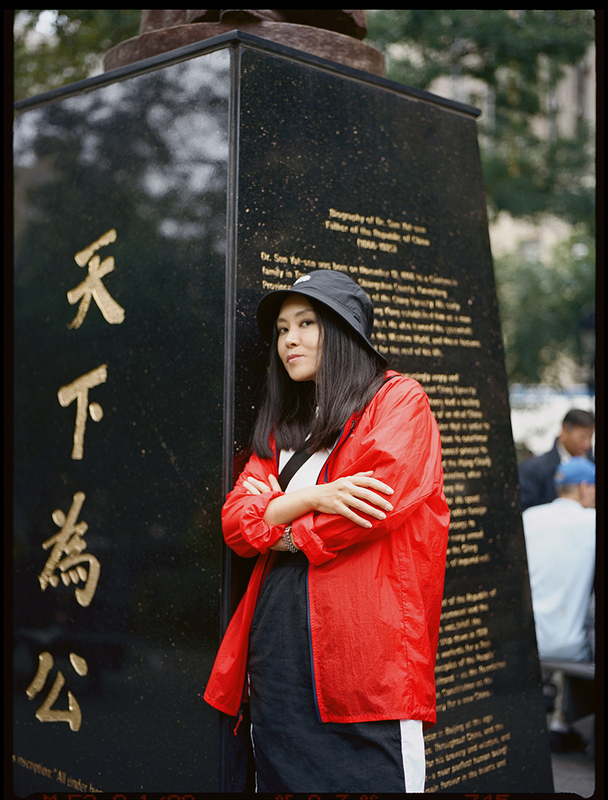 Without Chinatown, New York City wouldn’t be the way it is. But actually, I want to explore Flushing more! My grandparents live there, so I’m there every weekend, since childhood. It’s really different actually, because Chinatown is predominantly Cantonese, but Flushing has more people from the Mainland, and somewhat Taiwan. There are a few more Taiwanese options there. I think culturally it’s pretty different. I think that’s my new destination, especially for food. A collaborative project between designers Kevin Chao & Kenneth Lian using the medium of fashion to celebrate contemporary Asian-American culture. Its concepts express under-exposed but broadly admitted experiences as Asians living in the U.S., an extension of common interests and conversations amongst Asian friends, family and strangers.